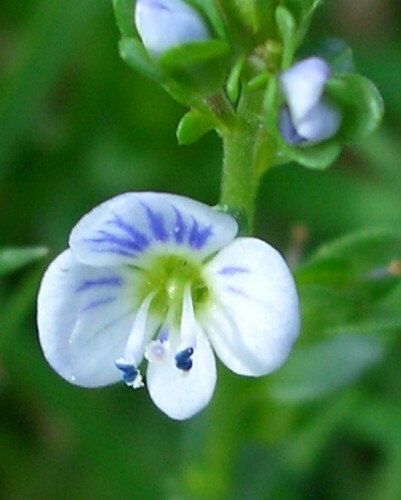 Thyme-leaved speedwell has creeping stems which root themselves. It is common in Britain on open grassland. 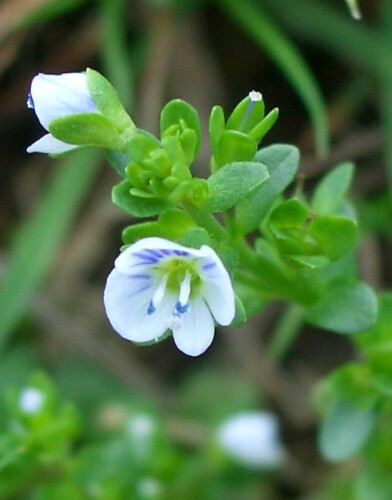 The flowers are tiny - 6 to 8 mm diameter growing on the upright stems. They have four white petals with blue veins radiating outwards. The leaves are rounded and hairless.